Planning a kid-friendly Halloween party or a family craft day? 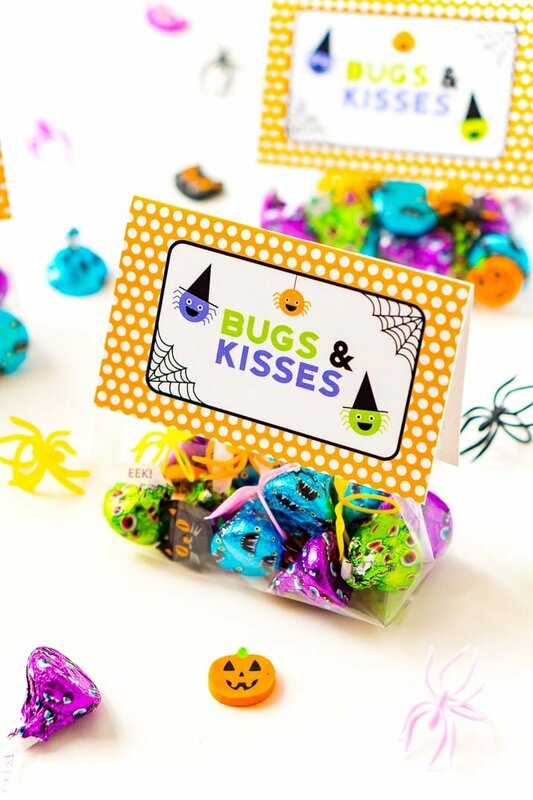 This adorable Bugs & Kisses Halloween Printable is perfect for preparing little bags of treats … and it’s free! 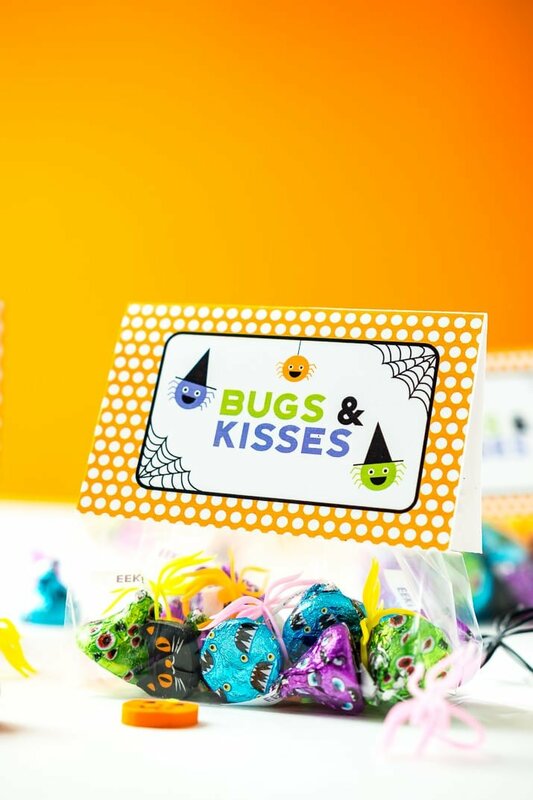 If you’ve got little ones who can’t wait to get into the seasonal spirit, surprise them with a festive “treat.” Download this precious Bugs & Kisses Halloween Printable and let it inspire all sorts of fun! 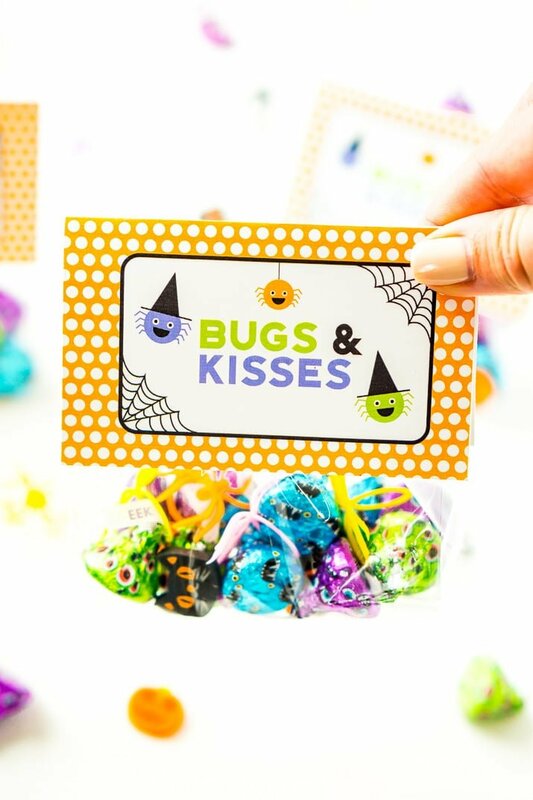 This Bugs & Kisses graphic is perfect for sealing little bags filled with candy, and of course, Hershey’s Kisses. These treat bags are so easy to assemble! Simply print and cut them out. Fold each in half like a tent. Then use double stick tape to attach them to treat-filled cellophane bags! An adorably ghoulish goody bag is the perfect way to share some sweets with your kiddos and their friends. Use them for get-togethers, to pass out to trick-or-treaters, or to bring to your little one’s classroom. Of course, you can use this graphic for other crafts, too! Gather the youngsters and use the Bugs & Kisses Halloween Printable to make cards, collages, or gift tags. Cello Bags – The bags need to be 4 inches wide max. Anyone who works with children, like teachers, nannies, and daycare employees, can have fun with this little project. After all, these Bugs & Kisses characters are too cute not to share! Arts and crafts are one the best way to get everyone into the spirit and spend time together. I love free Halloween Printables — including these Halloween Coloring Pages — because you can do so many different projects with them. Being creative is a good way to expand young minds. But most importantly, when you make things together, you’re also making memories together too. Autumn is one of the best times of the year, bringing cozy weather, beautiful foliage, outdoor activities, and of course, Halloween! It’s also the shortest season, so you have to make the most of it. But you might also enjoy making my Reindeer Food recipe for Christmas which also come with a free printable! We’re finally into fall, so it’s time to start making the most out of every crisp, cinnamon-scented day. With the day filled with costumes and candy around the corner, you should start feeling festive! 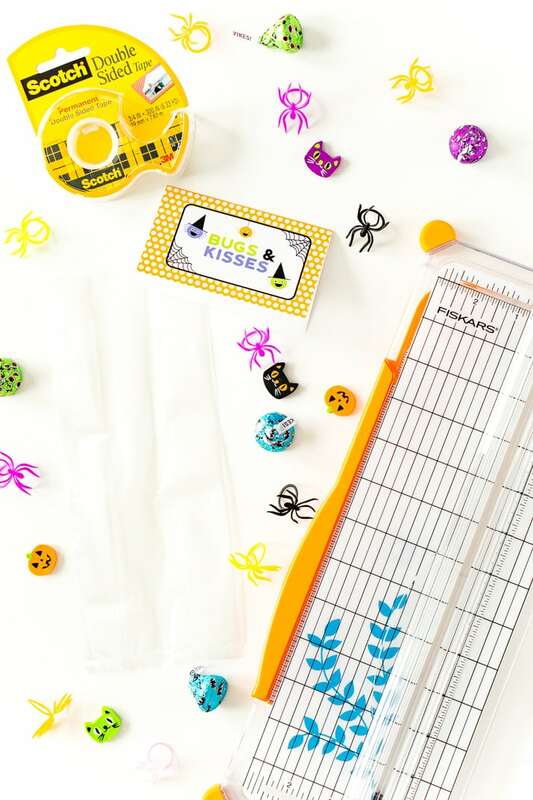 Begin by making some crafts with this adorable Bugs & Kisses Halloween Printable, something the whole family can enjoy. 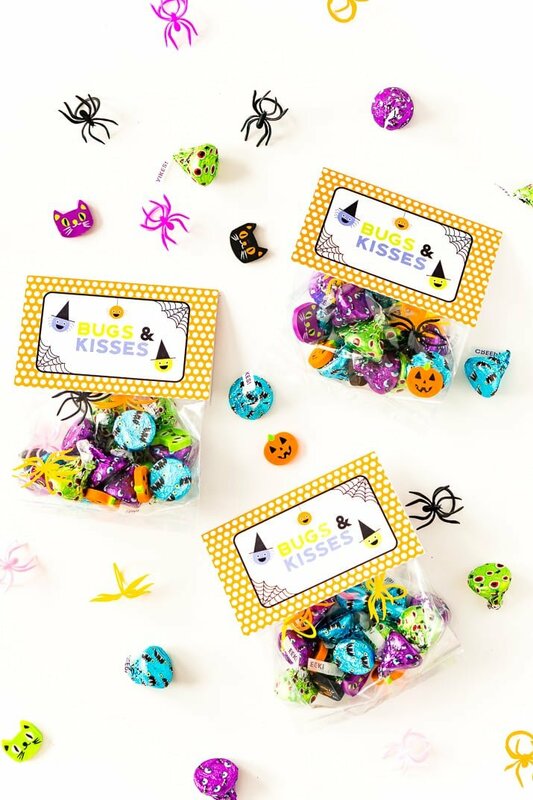 Get the FREE Bugs & Kisses Halloween Printable! Enter your email address in the form below to print! You will be taken directly to the PDF of the printable and receive an email copy as well. Bugs & Kisses Halloween PrintablePrint Now! Pin this Halloween Printable for Later!